At a recent event in the Scottish Parliament I heard fun being poked, with the expression "male and stale” used to describe the men who had long-time run the show. It was a tongue in cheek comment and clearly it is ridiculous to suggest that gender has any influence on whether people are stale or otherwise at their jobs. However, this memorable phrase did prompt me to take a look at how well CAS is doing in terms of the potentially thorny issue of gender equality. Organisations are under more pressure today than ever before to ensure they have equality in the workplace both in terms of ratios of men and women and levels of pay. My analysis of our own workforce left me happy to say that we are definitely about business agenda rather than gender. Over the past year, five of my colleagues – we call them CAStodians - who have been appointed or promoted were women, including our Marketing Manager, Senior Business Analyst, Finance Manager and our most recent Software Developer recruit. Special recognition was awarded to Business Analyst Debbie Barr, pictured, for her part in nurturing two long term trials of a product extension, which is bringing in significant new business. Our longest serving CAStodian happens to be a man but he is far from “male and stale”. With service dating back to the 1980s, he is the highest individual revenue contributor year on year since joining, apart from two years he humbly confesses. 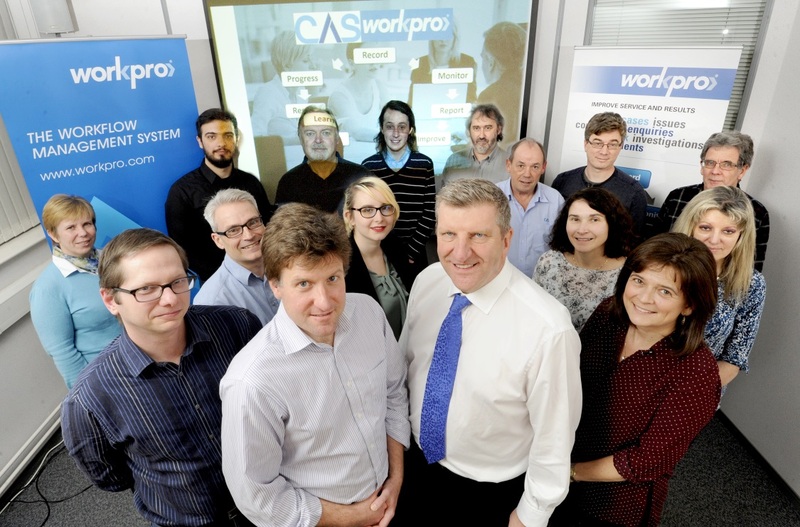 He is currently seeking to introduce the most modern of technologies to CAS's largest and longest standing client. The government has set a challenge for companies to have women as 50% of their board members. We have not achieved that yet. However, I am confident that CAS promotes and hires based on contribution and capability alone.